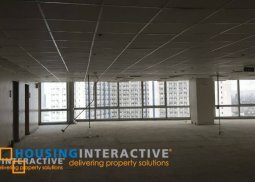 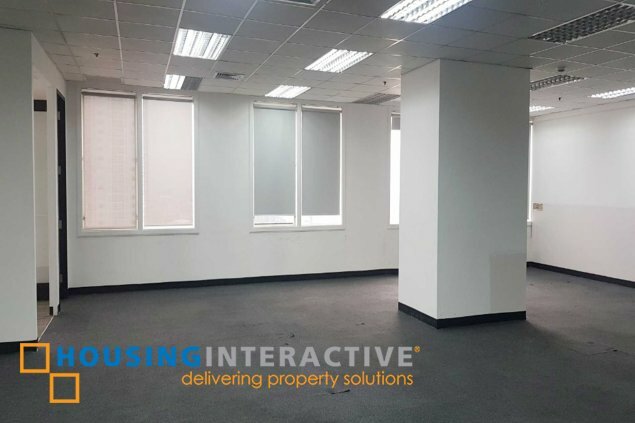 Fitted out office space for lease along Ayala Avenue. 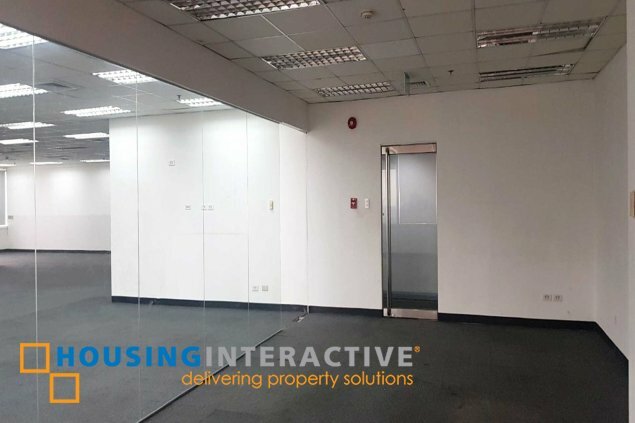 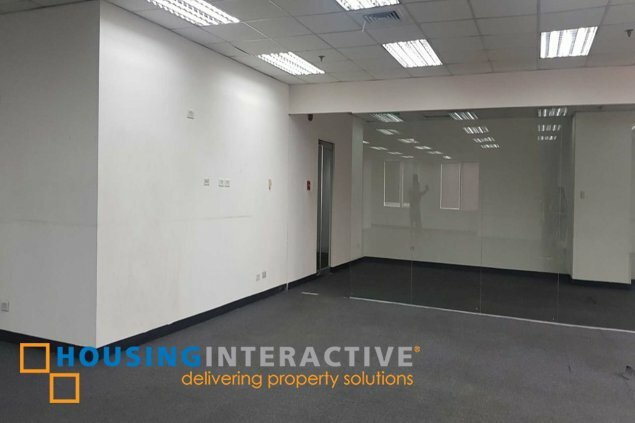 With a total area of 301.53 sqm., this office for lease is located in a PEZA accredited office Tower. 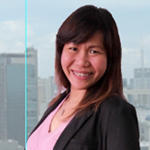 Exclusively managed by Ayala Management Corp. 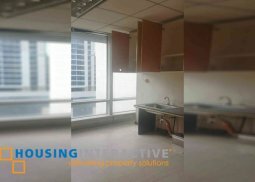 It has fixed aircon charges of Php 319.44/sq.m./month. 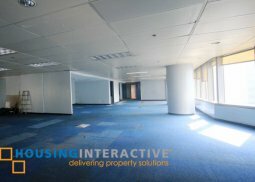 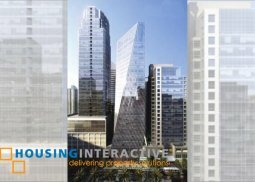 Contact us for more information about this Makati CBD office space for lease.